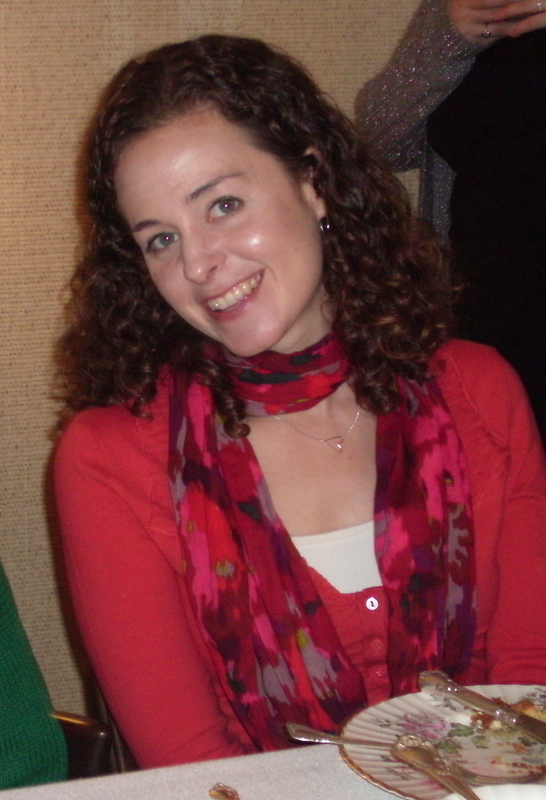 I’d like to welcome back to the blog Laurie Morrison, who is an awesome teacher, young adult novelist extraordinaire, and a great friend from VCFA. You probably know her from her blog, which you can get to by clicking here. Laurie’s guest post is for the series, The Stanton Effect: Inspiration from a TED Talk. 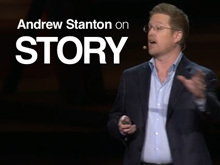 You can find Andrew Stanton’s TED Talk here. After reading Laurie’s post, please stick around for a special announcement. And now, I’ll turn the blog over to Laurie. Last weekend, I went to the Writing Novels for Young People Retreat at Vermont College of Fine Arts, and I got some very helpful feedback on the contemporary young adult novel I’m working on. Four other writers read the beginning of my work in progress, asked some great questions, and offered some wise suggestions. I haven’t finished drafting this new novel yet, and these other writers’ thoughts helped me crystallize my sense of where the story is going. They confirmed what I had planned for some parts of the plot and encouraged me to reconsider others so that the story will be satisfying but not predictable. As I watched the Andrew Stanton TED talk that L. Marie shared, the insight that stood out to me was the idea that drama equals anticipation mixed with uncertainty. I take this point to mean that readers should have an idea of what they hope will happen at the end of a story. If there’s a romance element, as there is in my work in progress, that romance becomes more compelling if the reader is rooting for a certain outcome. However, the reader should also feel some genuine uncertainty about how (and maybe if) that outcome will happen. With some kinds of stories, readers come in with expectations about the kind of ending that’s in store for them. If a book has a fairly light, humorous tone, as my stories tend to have, readers anticipate a happy ending of sorts. But the challenge, as Stanton suggests, is to balance that anticipation with enough uncertainty so that the conclusion of the story won’t feel too easy. The ending should feel inevitable but not obvious. I’ve been reading a lot of great books lately, including Sarah Tomp’s My Best Everything, which came out recently, and Emery Lord’s The Start of Me and You, which comes out at the end of this month. Both of these books are contemporary realistic YA. Both are well written. And both manage to balance anticipation with uncertainty. But the two books have very different tones, and therefore they handle the anticipation-uncertainty balance very differently. 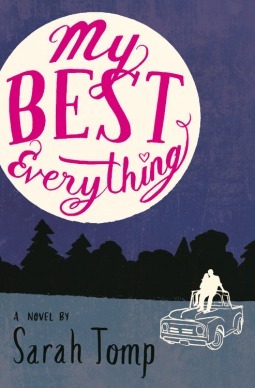 In Sarah Tomp’s My Best Everything, I never took for granted that there would be a happy ending. The book has some lighthearted moments, but an ominous feeling pervades the narrative. The main character, Lulu, makes moonshine to earn the money she needs to pay her college tuition, and even though Lulu doesn’t always realize just how dangerous the moonshine business can be, Tomp makes its perils very clear to the reader. The ending has an inevitable feeling, since it capitalizes on elements that are raised throughout the story, but it definitely isn’t predictable. I wanted to get to the end of the book precisely because there was so much uncertainty: about whether or not Lulu gets to go to college, about what happens to her relationship with the boy she’s falling for, and even about whether or not that boy survives. 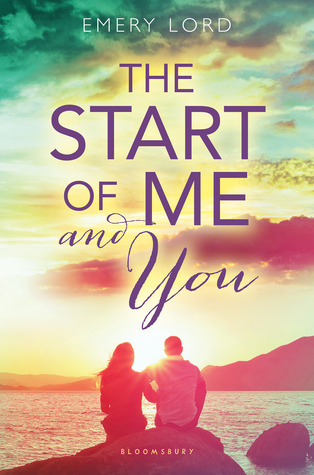 In Emery Lord’s The Start of Me and You, the characters deal with plenty of heavy stuff, but based on the tone and the way the book is packaged, I was expecting a happy ending. There’s a love story at the center of the novel, and I would have been very disappointed if Paige, the main character, hadn’t ended up with the guy I wanted her to end up with. Even though I anticipated something pretty specific from the ending, the novel has enough uncertainty to be very compelling. There are some believable obstacles that keep Paige from getting together with the right guy too soon, and Paige’s love story isn’t the only part of her journey—she has a lot of other important, satisfying relationships and goes through a lot of other growth. I wanted to keep reading to find out how close to the end Paige and her guy would get together and whether I would be satisfied with the way it all happened, and I also wanted to see how the other elements of her journey would turn out. My work in progress is more similar in tone to The Start of Me and You than My Best Everything, so my challenge will be to make readers root for an outcome they’re pretty sure will happen while incorporating enough obstacles and surprises to earn a happy ending. As I keep writing and revising, I’ll definitely keep thinking about maintaining an effective mix of anticipation and uncertainty, as Andrew Stanton suggests. Thanks, Laurie, for a great post! Other posts in the series can be found here, here, here, here, and here. 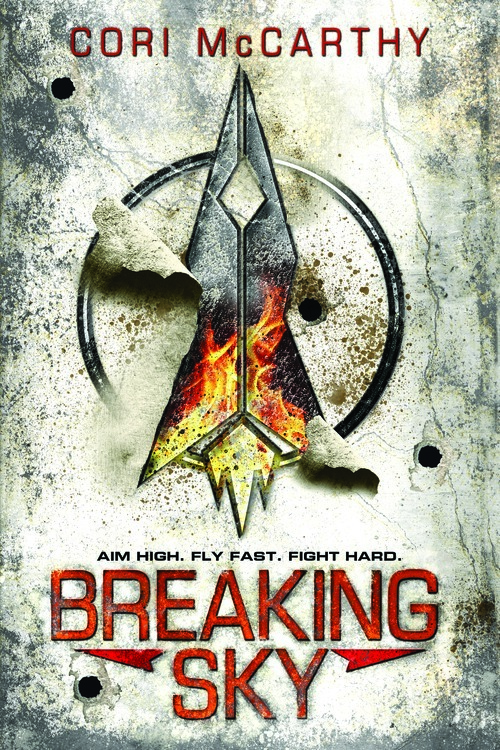 Speaking of good books, I’m delighted to announce the winner of Breaking Sky by Cori McCarthy. 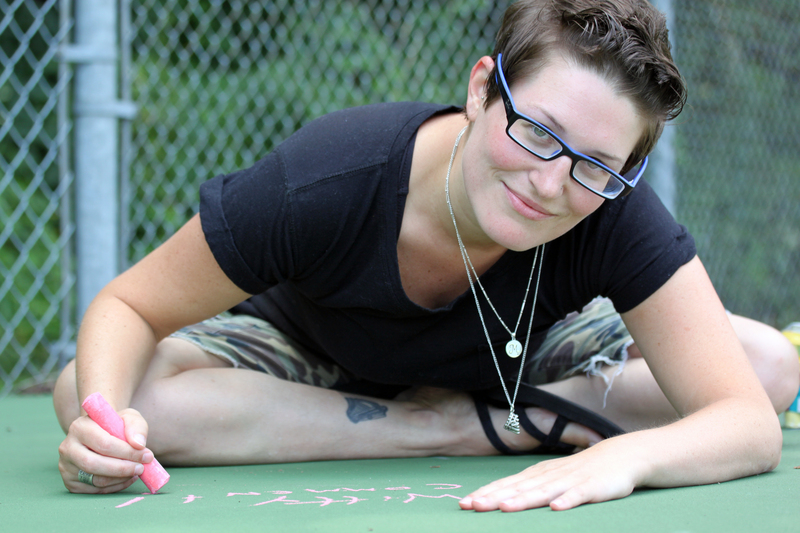 Drum roll, please. . . .
Laura, congratulations! Please comment below to confirm. Book covers from Goodreads. Anticipation poster from redvinesandredwine.blogspot.com. 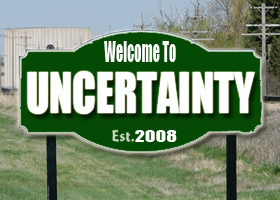 Uncertainty sign from abouthydrology.blogspot.com. Drum roll gif from giphy.com. This entry was posted in Authors, Book Giveaway, Craft of writing, Stanton Series, Young adult fiction and tagged Andrew Stanton, anticipation in a novel, Contemporary Realistic Fiction, Cori McCarthy, Emery Lord, Laurie Morrison, Sarah Tomp, uncertainty, Vermont College of Fine Arts, Young adult novels by L. Marie. Bookmark the permalink. Funny how you mention romance should have some uncertainty and readers should root for a specific outcome. That kind of implies that a love triangle really does help bring tension to a story and snare the reader’s interest. Yet, it’s become one of the most hated subplots. I see it everywhere too. Never figured out why people despise the thing. Though a few friends said to blame ‘Twilight’ because it started the trend of ‘love triangle with an obvious ending’. Hi Charles, I think there are lots of ways to make readers root for one romantic outcome while including plenty of uncertainty, because there are plenty of obstacles that can get in the way of two people getting together. But you’re right that love triangles are one way to do that! I think love trials can be very compelling (lots of people get into pulling for one love interest or another), but it can be hard to strike the right balance so that readers see the appeal of two possible love interests and are invested in one of them…but are still satisfied with whichever one the main character ends up with. I think love triangles were a trend for a while (around the time TWILIGHT was popular) and then some people got tired of them. THE START OF ME AND YOU actually features two potential love interests, but I don’t know that I’d say it has a love triangle. Emery Lord gradually shows which one is the better match for the main character while keeping the other guy just as likable, and the tension doesn’t really come from wondering who the character should end up with. It’s more about wondering when the character is going to realize that and act on it. Thanks for your comment! My series has a love triangle and I tried to make it different by placing it in an ‘open relationship’ system. One of the original couple members is from a society that allows dating multiple partners before marriage. Apparently, that was a bad idea for some. The thing I liked is that it made both choices viable without throwing a cheating or unrequited love theme to it. I think the entire thing has made me want to avoid such subplots in the future. At least nothing so complicated. The funny thing is that I didn’t know who would be together by the end for a while. I think I have it now, but I’m still not sure. I wonder if a reason love triangles are so popular is because it brings a physical obstacle the relationship. Another person is seen as more exciting to defeat while doubt, fear, and anything internal lacks actions scenes. I think this triangle works, Charles. You’ve explained it well. It’s sad that you received complaints about it. One of the big reasons that I can tell is because it works off the rules of a fictional culture. So many readers try to connect it to reality, but it doesn’t match up very well. I can’t wait to read The Start of Me and You. I can live with that kind of love triangle. I enjoy a well written love triangle. I don’t care for the celebrity love triangles that the media reports, before important current events. Thanks for participating in L. Marie’s excellent series, Laurie. Thanks, Jill. I agree with you. I’m not a big fan of love triangles, which seem to be a staple of YA fiction. Some just seem to be used to beef up a lackluster plot. However, I can see the merit of one that really showcases the characters’ struggles. It’s very popular in NA as well. I love this post, Laurie! In my current work-in-progress, there’s a betrayal, and the culprit is so uncertain that I don’t even know who he or she is yet! But I love it when readers speculate, and in this case, when the characters speculate as to the culprit, it jeopardizes the romance at the center of the story. Mine’s a historical novel, but it sounds a lot closer to My Best Everything, so that’s the one I’m reading first. Thanks so much, Lyn! I think you’ll really enjoy MY BEST EVERYTHING. And I bet it will lead to a lot of compelling uncertainty in your work-in-progress that you are still discovering the culprit of the betrayal yourself. There’s a betrayal in the novel I mostly worked on at VCFA, REBOUND, and I didn’t see it coming at all until it suddenly jumped out at me during revision. People who have read that book have told me the betrayal surprised them, and I have to believe that’s largely because I didn’t plan it but then it suddenly seemed inevitable. You’ve got me thinking about an interesting idea–that it’s important for writers to be open to uncertainty as they write just as it’s important for us to build in enough uncertainty for our readers. Well written post, Laurie. Anticipation and uncertainty keep us turning pages because we WANT to find out what happens to the characters. And I love a happy ending. Good luck weaving your WIP. Thanks so much, Nancy! Loved your post in this series, too! First — thank you L.Marie and Laurie Morrison for another awesome post on the Stanton Effect. I loved how Laurie focused on the concept that drama=anticipation+uncertainty. That post gave me important aspects to consider in terms of what the reader might be anticipating and what feels uncertain in the story I’m revising now. And also, oh my gosh — I was SO, SO, SO excited to win Cori’s book! I can’t wait to read it. So thanks again to L.Marie for hosting that interview and yet another book giveaway. So glad these ideas were helpful, Laura, and yay for winning Cori’s book!!! I enjoyed your article, Laurie. “Drama equals anticipation mixed with uncertainty” is something we can’t hear too often. The retreats are fairly new at VCFA. It sounds like you got a lot out of the weekend. I’d love to go back for sometime for the Post-Graduate Writers’ Conference or the week-long Novel Retreat. Maybe next year.